1 Bedroom Flat For Sale in Hamilton for Offers Over £67,000. Immaculate first floor flat within an attractive traditional building. 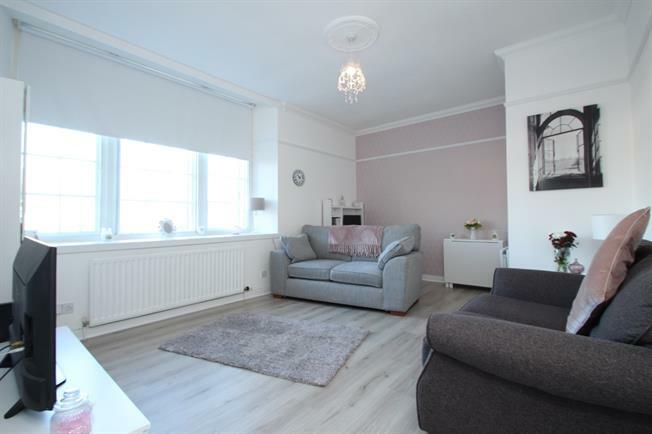 Enjoying a central position within Hamilton the property is accessed via a well presented close with accommodation as follows: welcoming reception hall with storage, sizeable lounge / dining room, fitted kitchen, double bedroom with fitted wardrobe and delightful bathroom. Beautifully presented throughout with quality floor coverings the property further benefits from gas central heating. Set at the end of Park Road the property features well cared for communal grounds with ample car parking. Easy access is offered to a wide variety of local facilities including the adjacent town centre and bus and train stations. An excellent example of it's kind this apartment offers true walk in style conditions with internal viewing essential to appreciate fully.